Whether you are looking to send a V-12, redpoint a 5.10a, or just hang out with your climbing buddies, you’re sure to find the perfect climbing or bouldering spot somewhere in these mountains. 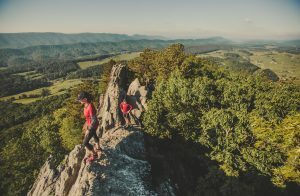 The Roanoke Region is home to some great bouldering at locations such as McAfee Knob and Bozoo, and rock climbing in plenty of other spots. And you can get an introduction to the rocks at one of the many climbing gyms scattered throughout the region. The Barney’s Wall climbing site is accessed via the Cascade Falls Trail. There is no signage. Hike the upper trail until you reach an overhanging rock on left (almost to main falls). Follow base of rock wall to climbing area. Blocky sandstone tends to provide excellent holds although overhangs provide plenty of challenges. Estimate climbs in the area to be from 5.8 to 5.12 range, getting difficult near the main wall that has the largest overhang. Bozoo is a quality stretch of sandstone rock on the border of Virginia and West Virginia. Head to Bluestone Lake State Park and you’ll discover a developed cliff known as Bozoo, which is home to 50 routes of colorful, bullet-hard faces that average vertical to overhanging. The majority of the routes follow all-gear natural lines and there are a number of climbs that are classic climbs. Climbs range from 5.7 to 5.13. Fools Face in the McCoy area outside Blacksburg is a nice place to go to climb after classes. There are a couple of routes on the rock mostly under 5.9. Located behind the Orange Market gas station at the intersection of Route 311 and Electric Road is Hanging Rock. Access the rock by parking in the Hanging Rock Civil War site parking lot, then follow trail under the highway. Iron Gate features more than 30 routes with many Gunks-like horizontal cracks and roof. Sport routes are the norm with many climbs requiring just a fistful of quick draws and a 60m rope. Day hike (out and back). 6.6 miles round trip. Hike the Andy Lane trail to intersection with Appalachian Trail and continue for unparalleled 180 degree views. 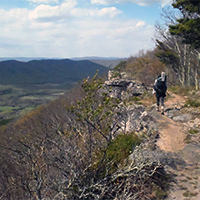 Note: The Tinker Cliffs hike is one of the more popular hikes in the area and sees a tremendous amount of hiker traffic. It is ideal to hike this on a weekday as weekends are very crowded. Please read specific rules and regulations at the bottom of this description. From the trail head take the yellow blazed Andy Lane trail for about 3.1 miles to the intersection with the Appalachian Trail. You will cross two fence stiles, then two Catawba Creek bridges. Continue as trail bears left, then right after 100 feet. After 3 miles of hiking you’ll reach the intersection with the Appalachian Trail. Turn right onto the white blazed AT (Southbound) and reach Tinker Cliffs within 0.75 miles. Enjoy the 180 degree view! Length: 6.6 miles (3.3 miles one way and backtrack). 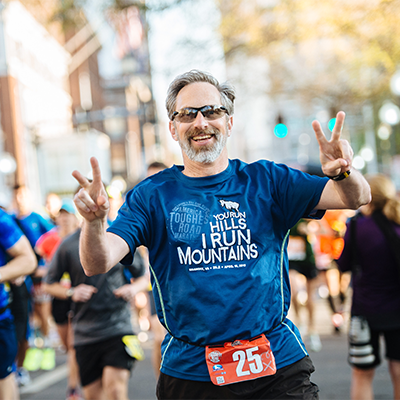 Elevation range: From 1,300 feet near the trailhead and creek crossings to just a hair under 3,000 feet at the cliffs. Bluff top views are the most prominent feature, but there are also nice creek drainages, intriguing rock formations, and lovely forests on the way. Even the part of the trail that goes through a cow pasture includes pleasant rushing streams and scenic views up toward surrounding ridges. Some tough, steep stretches as it rises 1,700 feet in elevation. The trailhead is almost exactly halfway between Catawba and Daleville on Virginia 779. 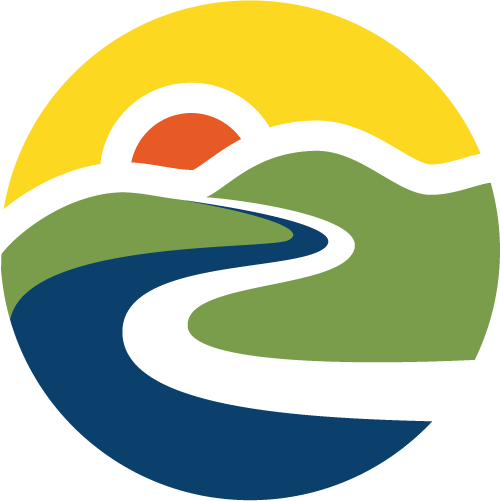 Take Virginia 311N from I-81 at Salem, go 8 miles to Catawba, turn right on 779 at Catawba, then travel 8.3 miles to trailhead, located on the right just past a bridge and turn in the road. 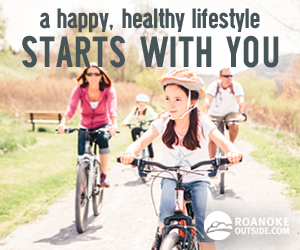 Or, go 1.5 miles on U.S. 220 North from I-81 near Hollins to Daleville and turn left 8.4 miles to the trailhead, on the left. Virginia 779 is also marked as Catawba Road and Bikecentennial bike route 76. Tunstall’s Tooth in Buena Vista offers some great views along an old forest service trail road. 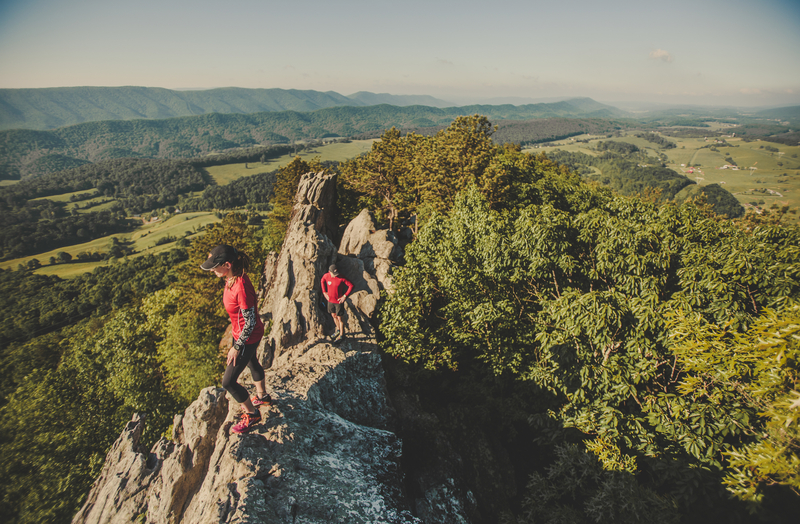 As one of the most heavily hiked sections of the Appalachian Trail, McAfee Knob is a popular destination. The 3.5 mile hike is well worth your while. The panoramic view available at the knob is astounding. The fact that there are more than 75 climbable boulders at the summit is just icing on the cake. The long hike and vast expanse of boulders has kept the area fairly underdeveloped. The rock is gritty sandstone; in some areas it is smooth like HP40 while in other areas it is hard slick quartzite. There are slopers, pockets, edges, tiny crimps, and glorious jugs. Most boulders on the top are vertical, rectangular and between 10 and 20 feet tall. There are a few roofs and many groveling topouts. The area’s premier climbing gym, The River Rock, is an indoor rock climbing gym located on the first floor of the River House next to the Roanoke River Greenway and Wasena Park. The River Rock features 8,500 square feet of roped climbing and bouldering, with over 90 lead and top-rope routes and 160 boulder problems. The gym is open to individuals of all abilities to climb. With four roped climbs and a variety of routes, almost everyone can find a challenge. Crimper’s Climbing Gym is a state-of-the-art indoor climbing facility, providing beginners a chance to try the sport, experienced climbers a place to train, and everyone a place to hang out and have fun. Crimper’s has several types of climbing styles including a 70 foot wide and 16 foot high bouldering area equipped with 16 inch padded flooring, a 23 foot top-rope section with 7 top-rope stations, and a 30 foot lead climbing section called the Gravity Well. All of the walls have a variety of angles with hundreds of holds to make for a diverse and challenging climbing experience. Open to the public and located at Radford University, the Radford Climbing Wall is 21 feet tall and has several top-rope anchors on it. You can also boulder on the lower portion of the wall. The entirety of the structure may be climbed without the use of artificial holds with the hardest natural route being graded around 5.11b on the Yosemite Decimal System. The crack system spanning the center of the wall is a popular challenge. Equipment rentals are available. Located in Lynchburg, Rise Up Climbing contains 50+ routes on 40 foot walls with top ropes and lead available. The climbing wall features widely varying terrain from vertical to steeply overhung. The bouldering is extensive with over 60 problems spread over a top out boulder and a very steep 14-foot wall. More than 7,000 square feet of climbing wall. A belay competency test is required for using the roped walls. An extensive instructional program is available.